Mbaka had during a Sunday thanksgiving service predicted doomâ€™s day for the flag bearers of the PDP, Atiku and Obi. Mbaka also berated Atikuâ€™s running mate, Peter Obi for not doing anything for his church, warning him of the consequences of being stingy. Fr. Mbaka curiously withheld Obiâ€™s blessing and said he would only release it after Obi had done a project for them. Using Umahi as an example, Mbaka said: â€œUmahi donated 1,000 bags of rice and 1,000 tubers of yam to us, but it meant nothing to me until he handed N10 million cheque to me and promised to build a project for the ministry. This is the type of gesture we require from Obi. â€œYou can be promising and doing for them in Anambra. In your capacity and what God has done for you as governor, God hates stinginess. What I am saying is not to please you, but what will save your life. Otherwise you and Atiku will fail. The former minister described Mbakaâ€™s actions as disgraceful, urging Catholic Church to call him to order. 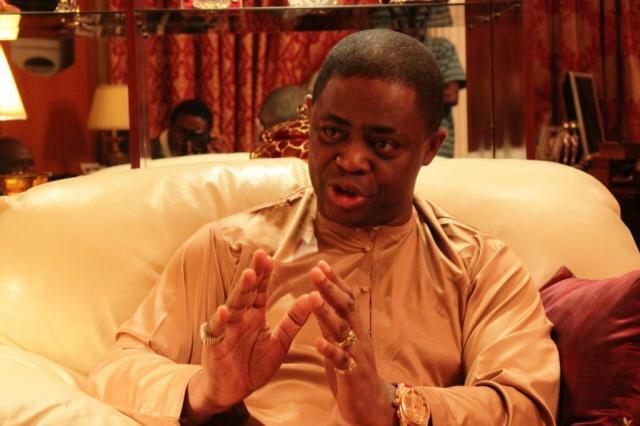 Fani Kayode on his Twitter page wrote: â€œI am disgusted by the words of Father Mbaka. It does not matter to me which candidate he supports but what galls me is his begging for money from both sides in return for favourable prophesies.